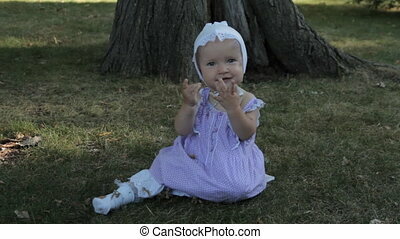 A baby girl with tears in her eyes fiddling with her dirty fingers in the mouth using both hands. in the park. 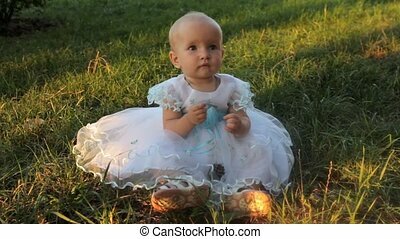 A Baby Girl With Tears In Her Eyes Fiddling With Her Dirty Fingers In The Mouth Using Both Hands. A baby girl fiddling with her dirty fingers in the mouth using both hands. In the park. A very young nanny having a baby girl with a soother in her lap. In a park. 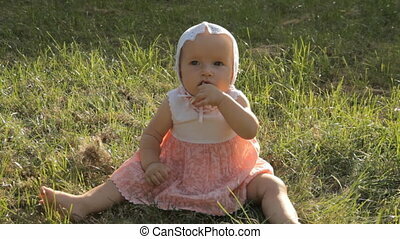 A young girl rocking from side to side on the grass with half a hand in her mouth. In the park. 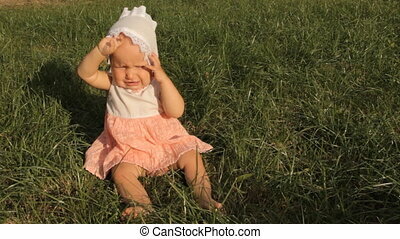 A baby girl rubbing her eyes with hands, the bright setting sun shining right into her face. She starts whining and tears grass around her. In the park. 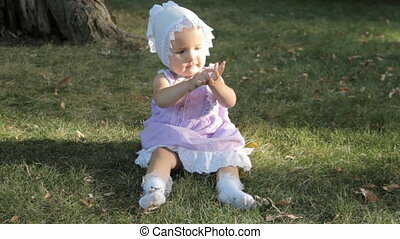 A girl sitting on the grass in a white and pink dress and a bonnet, opening her mouth a rubbing her nose with fingers. In the park. 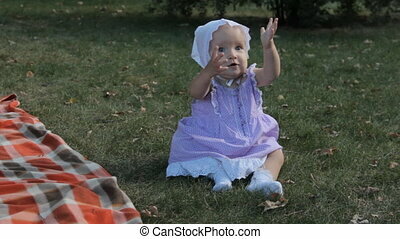 A baby girls sitting on a glade, clapping hands and smiling. Then she starts tear grass around her and play with her lips using the fingers on both hands. In the park. 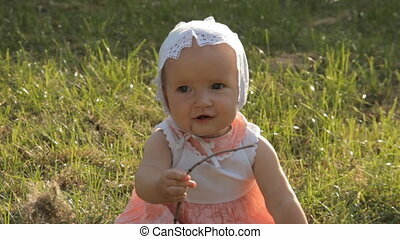 A toddler girl taking a stick in her hands and showing it into the camera. In the park. 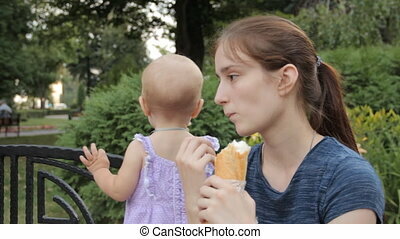 A young girl eating a baguette on a bench with a baby girl in lavender dress with a white dot pattern standing beside her. In park. 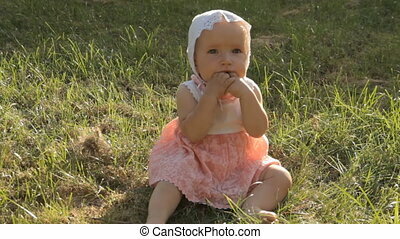 A baby girl climbing on the bench back with her legs, a girl holding her by the buttocks and arm pit. In the park. A very young nanny playing a game on her smartphone. A baby girl standing close by with her back to the camera. In the park.